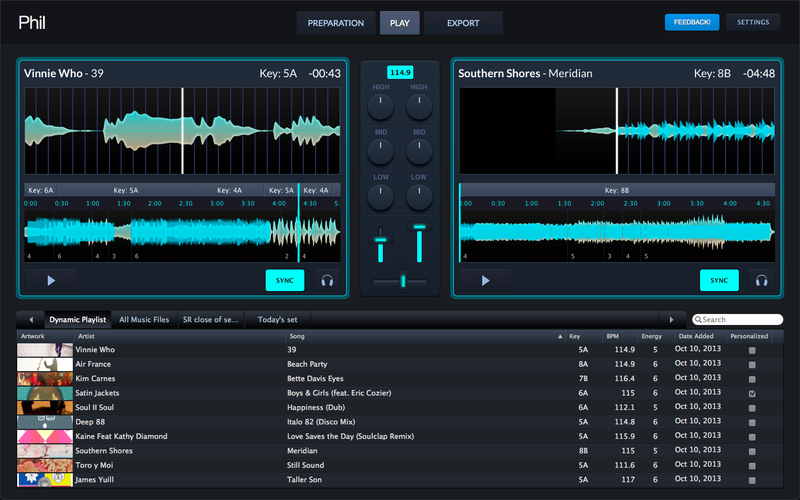 The main screen on Mixed In Key’s new DJ software: It may look like a simplified version of Traktor, but there’s some clever stuff going on under the hood. 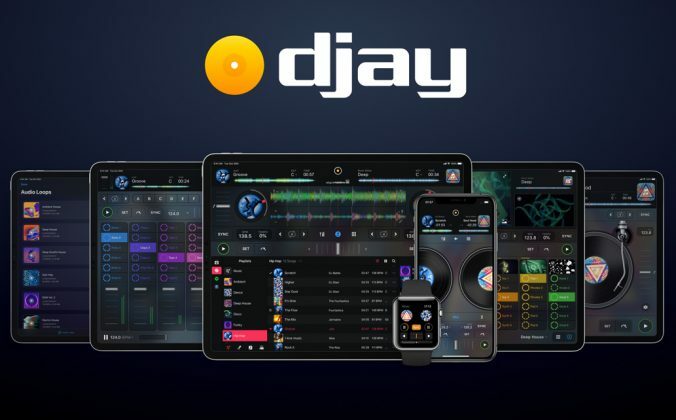 Announced last week and now in private beta, Mixed In Key’s DJ software (“Danceability” appears to be the working name, but they’re also running a suggestions box for the finished title) promises to bring some of Mixed In Key’s existing technologies, plus a healthy dose of new thinking, to the DJ software arena. We’ve spent a weekend playing with it, and today can give you some first thoughts. It’s not ready for a full review so we’ll save that till the public 1.0 is out, so treat this as a first reaction and summary of its potential rather than an appraisal. 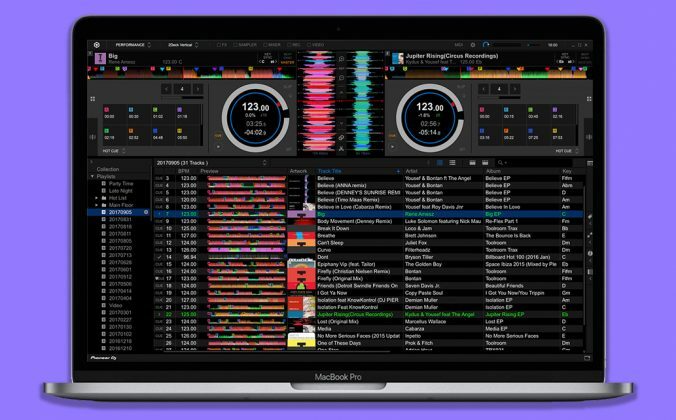 You can think of the preparation screen as the software’s equivalent to Serato’s offline editor: A place to analyse and organise your music pre-DJ set. 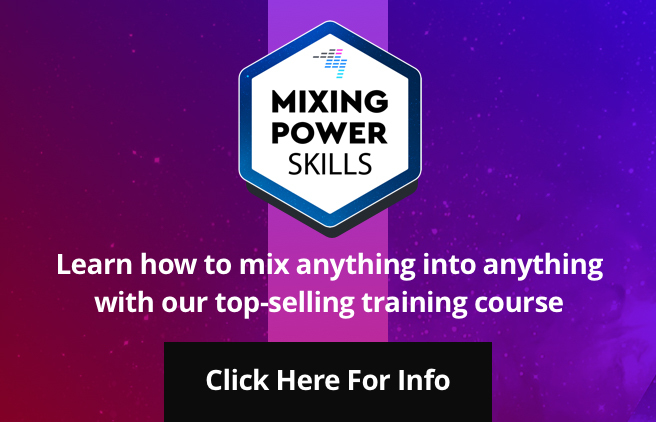 It takes on more importance in the software due to the way the software handles mixing. Luckily, it’s pretty easy to get the hang of. Firstly you’re going to want to “beatgrid” each tune. You’ll mark the downbeat (the first beat of the first bar, normally) which can be done with a small yellow marker on an easily zoomed in/out waveform. Next, you can define sections of the tune. the software has a guess at some of these for you, so on very simple EDM tune that follows a set pattern, you may not need or want to change anything at all. 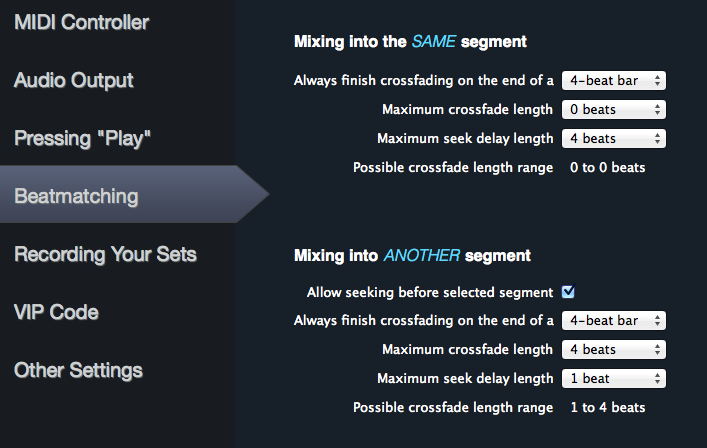 These sections have also been pre-analysed for you for energy level and key (I am presuming that like Mixed In Key software, this software is capable of spotting key changes in a single track, but I haven’t checked this), so you can see the more energetic / more laid back sections of your tracks instantly. You can alter these sections to make them more meaningful for you very easily. The beatgridding (for that’s in effect what this is) in the prepare area has the potential to develop into something really powerful here, because this approach definitely has legs; marking sections of tunes makes sense, and is a good substitute for cues (as we’ll see in the next section), plus the software has succeeded in making the whole process feel considerably less intimidating. It forces you to think about song structure in a natural way, which is a good thing. I’d definitely like to see elastic beatgridding here (the ability to drop multiple downmarkers to pull tracks that have a naturally varying BPM into line, such as Serato and Ableton have); it’s something that would take behind the scenes work for sure, but which could work really nicely in the context of this “beatgridding lite” approach to getting the job done, and which would open this approach up to a whole lot more than just electronic dance music. A quick tick of the “Mark this song as Personalised” button shows you’ve personally checked each track, which is a nice touch. The preparation window, showing the library and beatgridding sections. The other job you’ll do here is sort your music out into playlists. This is beta software, and there’s a whole swathe of things missing that I’d like to see: Proper iTunes integration (full structure not just individual playlists); editing ID3 tags within the program; control over what columns are showing, and the order they’re in, to name a few. But it’s wrong to highlight this stuff too much in a pre-1.0 version. What’s already good about this section is that is has the aforementioned key and energy analysis built-in; like Mixed in Key, you just set it loose on your collection or playlist and it’ll analyse your tunes one by one, reporting this info and also taking a guess at the beatgrid stuff mentioned above. The artwork for each track is displayed Traktor-style, and clicking on it shows you the whole cover for each track. The software also highlights when it believes a tune’s sonic qualities could be improved, and you can click through to Platinum Notes if you own it (it’s another Mixed In Key program) which can do this for you. Would be nice to be able to turn this column/button off, for those who don’t own that program. Again, beta software: No gains, no FX/filters, no loops even; the latter are coming in 1.0 but no word on the rest (personally filters would, I think, be enough for a “cut down” DJ program; frankly it’s the only effect I regularly use save maybe a little delay every now and then). 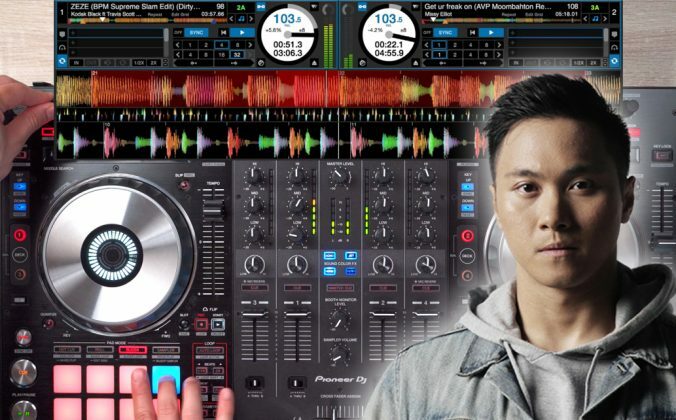 What you do get is an instantly intuitive screen with two decks, each containing two waveforms; the “full track” waveform from the prepare screen, and a smaller zoom-in on the currently playing part. 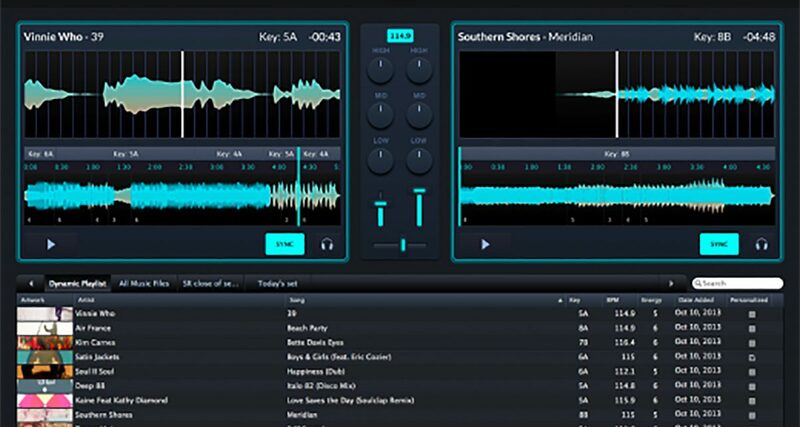 The interesting thing here is that with the tracks synced (there is an on/off sync button for each deck) and the play button behaviour set in the settings to what is effectively quantise behaviour, this software behaves in a way that will be instantly recognisable to anyone who’s used Traktor DJ on the iPad or iPhone. Smooth, simple to understand scrolling? Check. Dynamic playlist that takes into account key and tempo (and in this case energy level) to give you some suggestions for a good next tune to play? Check. 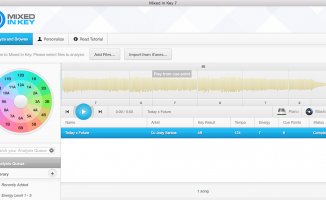 Grid-based playback, with no nudge or individual BPM settings (there’s only a master BPM)? Check. We love the way this approach simplifies the technical stuff and lets you think about the tunes you want to play. But unlike Traktor DJ, when you combine this stripped-back simplicity with the section-based method of analysing your tunes, you can go even further, because the software lets you go further than just easily jumping between sections of the same tune without dropping a beat; it lets you mix whichever sections you like from one tune over the next one too, just by clicking on them. You can set how it handles jumps from section to section or the same section, so it’s like a kind of (semi) automix on steroids. It actually sound more complex than it is; the bottom line is that if you’ve spent just a few seconds marking meaningful sections of your tunes in the prepare window, you can have great fun performing decent-sounding mixes with minimal effort once you reach the “play” area. 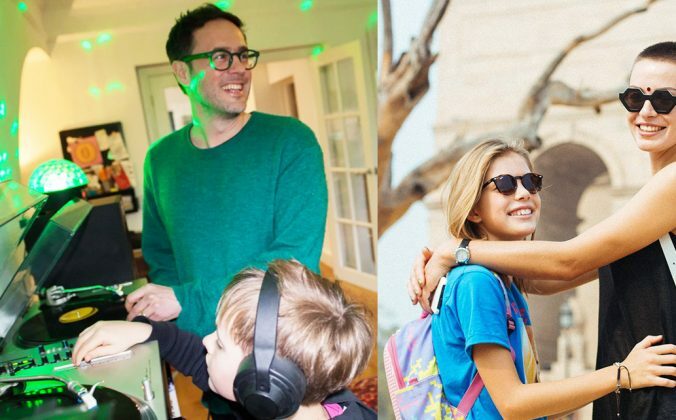 I can see this appealing massively to the home DJ, the party DJ and the part-time dabbler, as well as the mixtape-making music fan who wants good sounding results fast. Indeed, as an ideas board and an early planning program for mixes and sets, in this respect it will definitely appeal to professionals too. I don’t know if you’ve ever turned on the automix facility in pretty much any DJ software that has it, but “results may vary” is the kindest description I can think of. With this software, though, this built-in “semi automix” nethod promises to do a far more credible job, especially as you can tweak various parameters. Of course there are those who put down the ides of automating what they feel should be done manually, but intelligent automix based on your well planned and properly prepared tracks sounds really cool to me – and as always, it’ll be what comes out of the speakers that ultimately wins out. Like Traktor DJ, which I love, I found performing on this to be great fun, and while Mixed in Key’s software lacks some of the innovative touches of Traktor DJ (particularly, I love the slicer and the X/Y pads/locks on that software), in the case of Mixed In Key’s software, the track sections idea is very much its own innovation. I love this section. We always say you should record everything you do, always, and this software indeed has a setting that does just that. Turn it on, and every time you mix, you record, and then when you come to “export”, you’re going to find a whole heap of goodies. So clearly it’ll show you all your sets, nicely recorded. But also it shows you the tracklists of those sets. You can export those tracklists as CSVs. In time, imagine if Mixed In Key integrated auto-upload to services like Mixcloud, along with all the track markers in place and tracklisting auto-filled in? How much time would that save you? More. It has a “My Top 100” section, that shows you your big tunes for last week, last month, last six months (let’s have an “all time” as well, boys…). Like last.fm’s “most played” section, this can show you valuable insights into your true likes. It would be great if it could also let you “time machine” back (“what were my favourite tunes this time last year?”) and also great if it could auto-store this info for safekeeping in the cloud. Dedicating a section to what happens post-mix is smart, and I can only imagine that over time, lots more ideas will work there way in here to make the busy DJ’s life easier. Mixed In Key has thought about how the software might integrate with your current set-up, and promises the software will work with all major controllers on launch. (I wonder whether, as with Traktor DJ and the new Kontrol S2/S4, that means things like manual nudging of tunes will be possible?) However, I think it’s fair to say that if you’re a “power” DJ, with a set-up comprising lots of modular devices, DVS, external mixer and so on, this isn’t aimed at you (DVS isn’t a feature, the internal mixer is your only option right now too, although of course pre-cue is available for headphone/master connection). The software is also clearly a beta; while I found it stable, I did miss looping (as I say, promised for v1.0), but also I presumed the lack of “gain” controls on the rudimentary mixer meant that some kind of auto gain would have kicked in to level the max volumes of my tunes in the mix; it sounds like this is not so. This means that unless you use Mixed in Key’s Platinum Notes or some other program to level the volumes of your tunes, you have no way of altering how loud an incoming tune will be with its fader wide open. As mentioned, the program does integrate Platinum Notes insofar as it recommends when a song can be “improved”, but good autogain or a manual gain is nonetheless an essential I feel. Also, while the beatgridding section is good, it does need elastic beatgridding so it just “works” with more of the wide world of music, not just electronic music; like in Traktor DJ (for which this is also a criticism), once programs start relying more heavily on locked in BPM, quantise and grids, this becomes more essential. 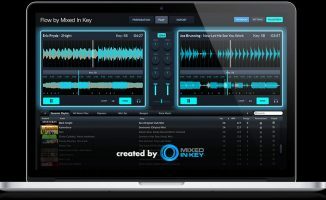 Overall, though, I think that Mixed in Key’s new DJ software is at a very minimum a decent step forward for software DJing. 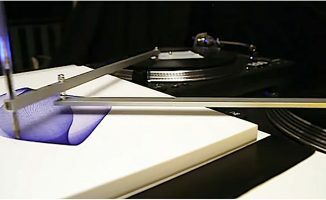 Depending on the price, how well it integrates with existing hardware, and which of the missing “essentials” appear in the release version (plus how well they’re implemented), it ought to do well, not by making existing DJs necessarily “switch”, but by carving its own niche. I can hear now the howlings of the old school crying “sacrilege!”, but let them howl; despite their protests (I can hear them now: “this is automating DJing!”, “it’s letting anyone do it!”, “it’s taking the skill out of it!”, “It was great in ’88…” bleat bleat bleat), they’re missing the point; it’s not aimed at them, and there’s room for everyone out there. If Mixed In Key takes the time to write some good, accessible documentation that is bold enough to strip away a lot of the supposed complexities of what it takes to be a DJ, and that concentrates on teaching the absolute essentials that this software requires of the user, this software has the potential to expand the reach of DJing as a hobby to yet more music fans. 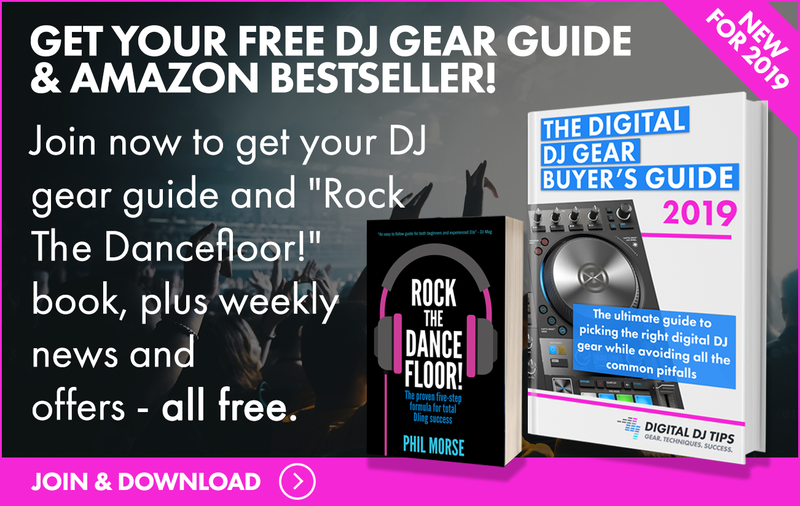 Just add a great music collection and a love of the dancefloor and you’re ready to rock. But even this is selling the program short, as it’s going to appeal to more than just beginners or dabblers. It simplifies beatgridding while recognising its importance; attempts to help DJs shortcut understanding their music by providing algorithmic energy levels, key analysis and song sectioning; cleverly suggests great tunes to mix into; and even has a convincing automix engine for capitalising on all of this goodness. Anyone who’s DJed with any DJ software can find something to like here, I feel, just like nearly all the DJs I have spoken to about Traktor DJ loved that program instantly. We look forward to the full release, and further developments. Did you get a chance to watch the video and read through our thoughts? What do you think? Is there room for this kind of “semi-automated” approach to DJing? What do you think of the section jumping idea? Please share your thoughts in the comments. 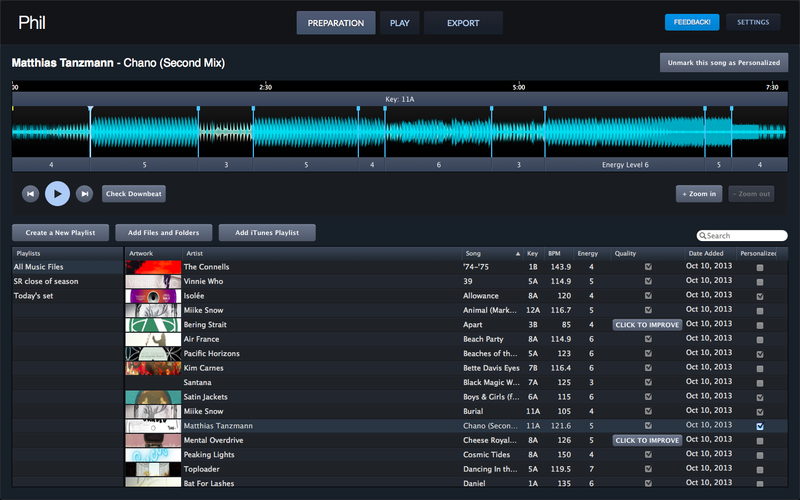 Mixed In Key Flow DJ Software Launched: Try It For Free! Does it have something like Traktors Beatjump? Hi Thomas. You can jump to a specific segment by clicking on it, or by using your MIDI controller, but you can’t beatjump 16 beats/32 beats ahead or behind from your current playback position. We based everything around those Prepared segments. Hi Yakov, will beat jumping be implemented when loops are added? It could be a deal breaker for me and many others I think. Still look forward to trying it out though:) Will it work with a Xone K2? I use a Xone:K2 myself (I’m friends with Andy, the lead designer at Allen & Heath) and it’s my favorite piece of gear. So yes, it’ll work great with the K2. About beatjumping: give us a little time, and we’ll see what happens. thanks for your reply. The segment stuff sounds really intriguing. I hope you’ll include a Beatjump function in a later version since that is the one crucial feature I can’t live without since I switched to Digital DJing. No beatjump is a Deal Breaker for me. However, keep up the good work, I really like the approach you guys are following with Danceability! looks like a cool piece of software. specifically, I like the preparation bit. I see me using this software to generate playlist etc, make notes of the energy and key changes and then perform in Serato to give me controll over gains and effects. now I need to know more..
will the key(s) and energy level be stored anywhere to be approached by Serato? I like your way of innovations, and actually never relied on just one software, so this would fit nice in my work flow..
King of Snake: we’ll release MIK 6.0 soon, and it should hopefully have even tighter integration. Looks good to me Phil. Any idea of a release date??? 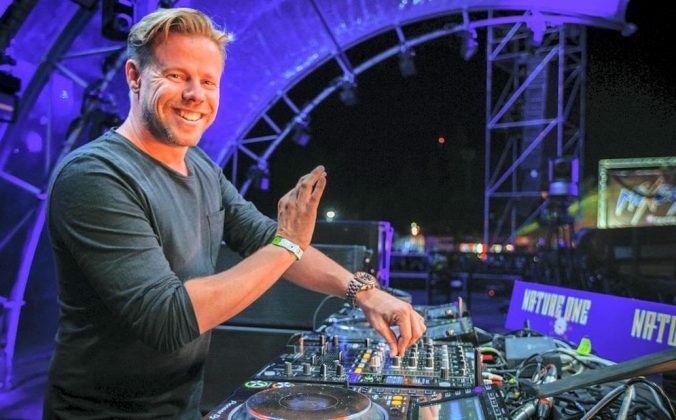 Rich: I already DJed gigs with it, so it’s club-ready now, but we want to give it an extra 1-2 months before everything is 100% stable and ready. It’ll probably get released this year. 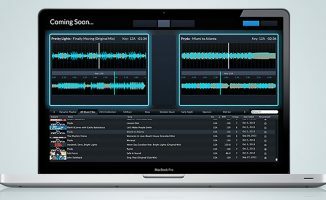 It looks like it has great potential and I understand its not for everyone but to me it looks more like jukebox software than DJ software. Just my opinion. Looks exactly what I need for how I like to DJ. Any idea on uk sale price??? I’m going to be having a good look at this when it comes out, could be good for mobile DJing, not overly complex and suitable for different types of music. Just one question, is there a way to add tunes to playlists on the fly, like Traktor’s “Preparation” list? Phill, can you explain in more detail, and I’ll reply. How do you use those playlists? Can you confirm whether this has got/will have or hasn’t got/won’t have elastic beat grids (similar to Ableton Warp or Torq Tempo Anchors)? I am holding out for DJ software that has elastic beat grids so I can mix tracks with varying or unstable tempos/human drummers. I considered buying Torq until Inmusic let it die a slow and painful death and I dont want to shell out the full price for Ableton Live). you should give Serato a chance.. I like it. Please have it play video…and a few effects and loops,and samples, and have it normalise volume…please? Stravos, thanks for the feedback. We’re going to make a rock-solid foundation first, and then add everything else later. As soon as the basic two-deck solution works flawlessly, the features will start getting a lot more interesting. How does one get to evaluate the beta? @autrelle: we’ll have 500 VIP Codes to give away at random on http://facebook.com/mixedinkey soon. Follow the page to see if you can catch an invite. Is the latest version compatible with WEGO2?